LOOK AT THE COMPARABLES IN THIS NEIGHBORHOOD! SELLER WILL CONSIDER ALL OFFERS! 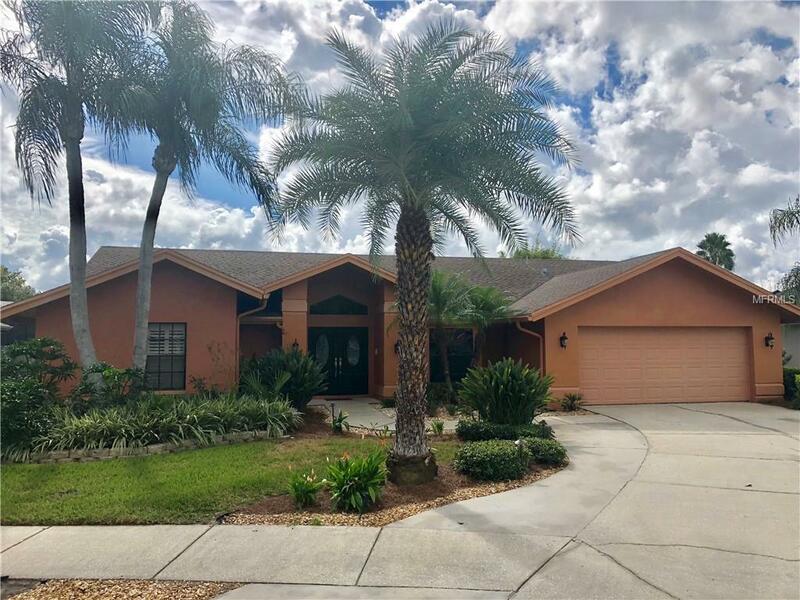 This 4 bed 3 full bathroom executive home is located in the Coveted Huntington's of Safety Harbor. Huntington Trails to be exact! This home offers the formal living, dining and family room set up with a 3 way split bedroom plan. When you walk through the double front doors you are immediately greeted with the light and bright living room/dining room combo with cathedral ceilings and skylights. The master bed directly to the left also has high ceilings with French doors for access to the rear patio, bath with garden tub with separate shower stall and two large walk in closets. The kitchen has stainless steel appliances with a gas range and a large breakfast nook. The family room is oversized with two sets of French doors leading to the patio and has a gas burning fire place as the focal point. The 2nd and 3rd beds have brand new carpet. The 4th bed, ideal for in laws or as a teen suite has its own bathroom which doubles as the pool bath. Outside within the screened area you will find a fully equipped outdoor kitchen, hot tub, pool with spill over spa and even a personal sauna. The backyard is fenced in with a large swing set and plenty of yard space to boot. . New H2O, grill, hot tub , fridge, pool pump & motor plus interior paint all in 2018.. Flat screen, pool table & electronic dart game can remain or be removed . The seller is even willing to remove the sauna is that is the Buyers preference.